In late 2012 Bob and Janice Maddox, a blessed couple living in Washington State, published a book titled D.E.E.P. Origin Healing and the Origin of Personality Distortion. Their book has four parts: “As Above, So Below;” “Uncovering Original Wounds;” “Form, Function and Dysfunction of Our Spiritual Reality;” and “Where There is Divine Energy There is Emotional Process.” There are 14 chapters, 23 illustrations and five appendices within these four parts. In their healing approach, they guide participants to develop the practice of naming their own defenses when they see them, thereby connecting them to the root fallen natures. Then they are encouraged to meditate and pray about what they have uncovered through their process of introspection and self-examination. Keeping a journal is recommended in order to track personal emotional patterns which help to identify one’s FN/defenses. The book emphasizes that one should remain a neutral, objective observer of one’s emotional patterns, similar to the practice of non-judgmental mindfulness of Buddhism. Engaging in a physical discipline such as tai chi, yoga, or martial arts also is encouraged. An on-going process allows one to surrender the ego through repentance. The process involves the three fundamental steps of self-awareness, disintegration of defenses and reintegration of one’s original mind/higher self, thus establishing healthy thought patterns, habits and behaviors. The goal is personal transformation and ultimately, true freedom. In the conclusion of my dissertation I have listed possible future directions of research which includes case studies of the Maddox’s healing approach and its outcomes. Robert and Janice Maddox, from Washington state, published D.E.E.P. 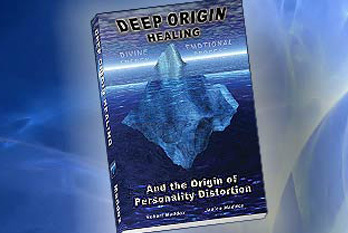 Origin Healing and the Origin of Personality Distortion, a synthesis of the biblical account of humankind's deviation from God with psycho-dynamic principles, energetic dimensions and spiritual laws. In the fall of 2012 I met Janice Maddox when she came to the Cheongshim Graduate School of Theology GST at the time of True Father’s Seonghwa in September 2012. At that time, Janice Maddox gave me a copy of their couple’s newly published book. I digested the amazing contents quickly so that I could incorporate it into both the theoretical and the practical application sections of my dissertation, which was almost complete. The Maddox couple and I are collaborating in order to develop Unification Thought Psychology. They have a Facebook DEEP Origin Healing group for on-going dialogue. The blessedfamily.org website also has a group called CIG Now at which interested members can post in the sub-groups, one of which is called CIG Psychology Forum which I facilitate. The time has come, now that we are in the Age After the Coming of Heaven, to apply Divine Principle and Unification Thought (UT) in all fields of human endeavor. Bob and Janice Maddox have made a significant contribution toward the establishment of UT psychology. If you want to view part of the book, it is available on amazon.com.